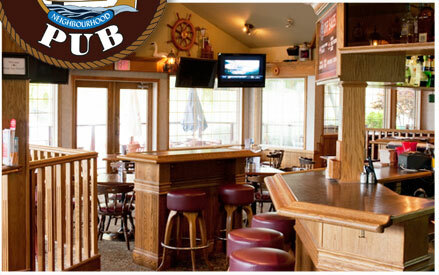 In 1995 Speed's Neighbourhood Pub first opened, and in no time became a local favourite to relax and enjoy a cold pint and some great food. 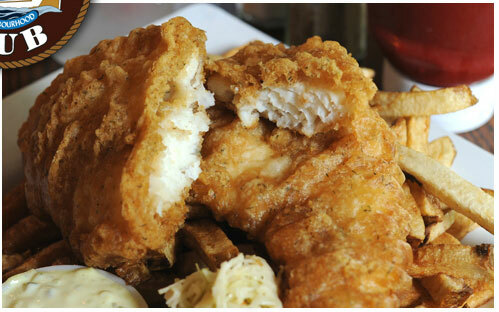 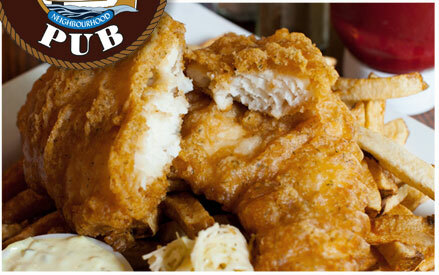 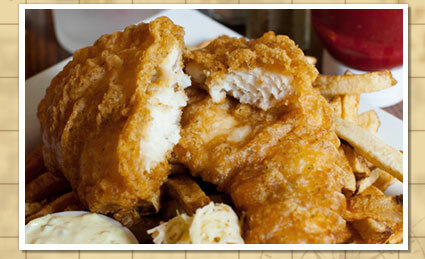 Most known for our excellent Fish and Chips, which you can choose from either Cod or Halibut, and of course our home cut fries. 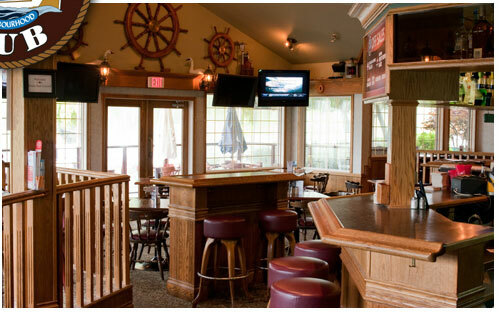 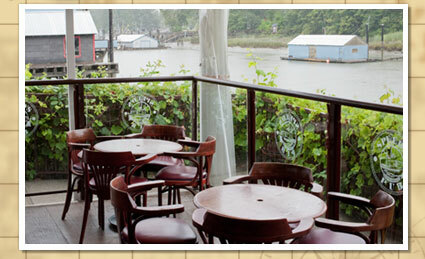 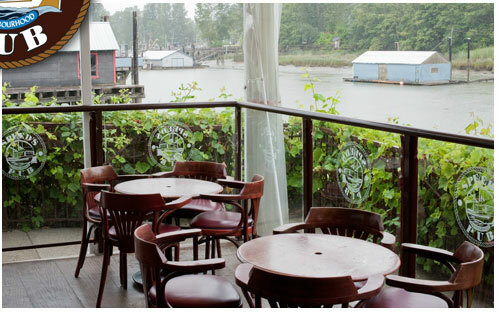 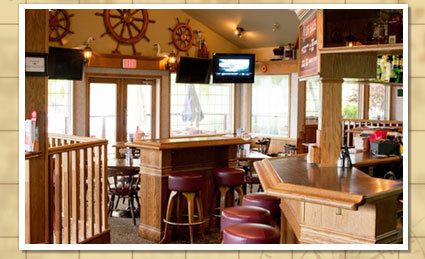 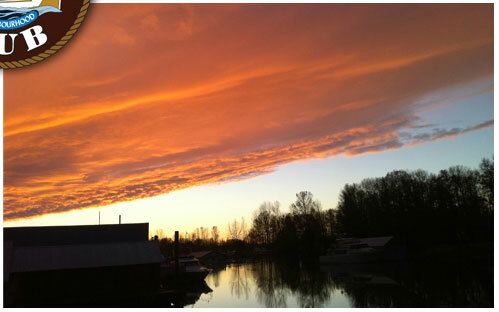 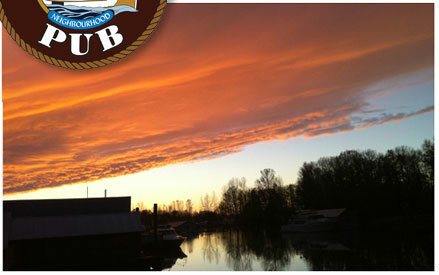 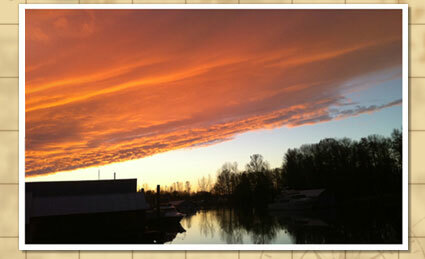 Located right on the Fraser River and across from Ladner Harbour Park, you will want to take advantage of our covered outdoor patio and enjoy some scenic views. 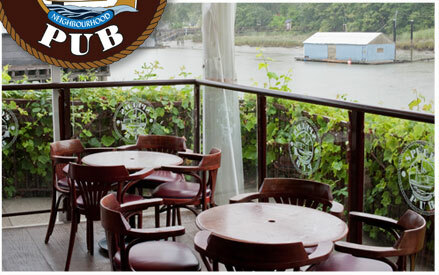 Sitting out on the patio at Speed's Neighbourhood Pub you might notice the boat docked right in front, well that boat has quite a history, and you might also have noticed it is also part of our logo. 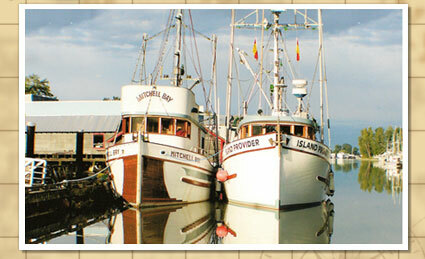 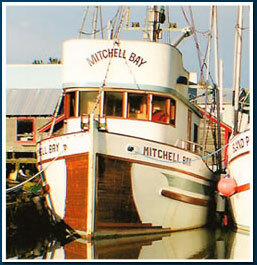 Well The Mitchell Bay was built 1932 and was part of Canada's World War II "Gumboot Navy". 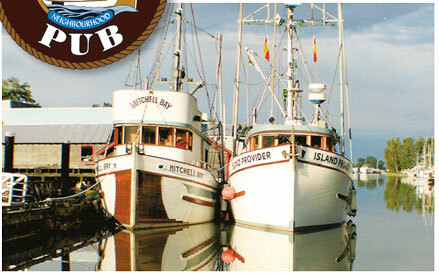 The Gumboot Navy was formed in 1939 to patrol the BC coast as the threat of war grew during WWII. 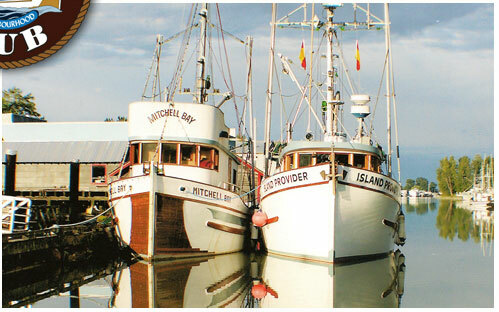 Recruits used their own fishing boats, and modified them by adding guns and other equipment to help keep our shores safe.